Earlier in the morning Jack Brooks had knocked out Keshav Maharaj’s leg stump and Graham Onions’ off stump to finish the match with figures of nine for 113. His leaving present to his soon-to-be former team was well-chosen but the Yorkshire coach, Andrew Gale chose to focus on his team’s powers of recovery as he reflected on their first Roses double since 2001. “There was a lot of pressure on us coming into the game and the first day didn’t go as planned,” he said. “I thought we showed a lot of character, togetherness, team spirit and belief to fight back in the fashion we did and to win by 90-odd runs in the end was a fantastic effort. Lancashire, by contrast, have few chickens to count and no chicken-house to put them in. They have not won a Roses match since 2011 and will almost certainly not have a chance to put that right until 2020. 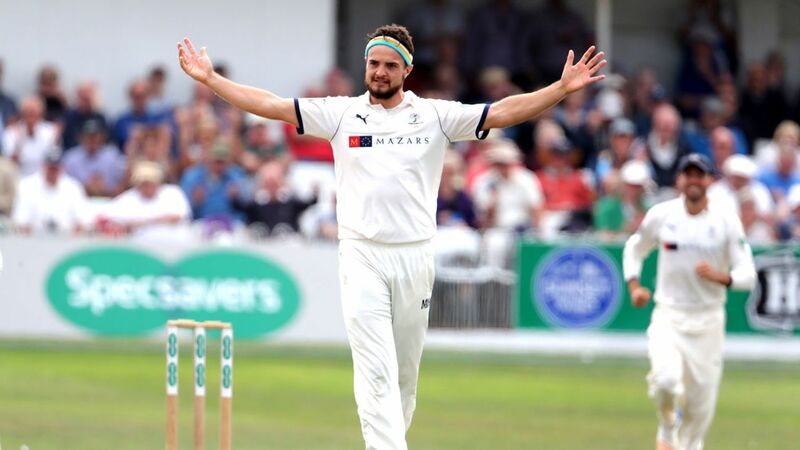 After Essex’s defeat of Nottinghamshire they cannot be relegated next week when both themselves and Notts are without a fixture but their chances of avoiding that fate in around a fortnight’s time are gossamer thin. They would need to beat Hampshire at the Ageas Bowl in the final round of matches and hope that other results go their way “big style”, as they say in Bolton. Felix qui potuit rerum cognoscere causas wrote Lucretius. “Happy the man who knows the causes (origins) of things.” Glen Chapple is surely aware of the causes of Lancashire’s plight this season but one doubts the knowledge brings him much happiness. Their campaign has been cursed by batting collapses and they have failed to earn a batting bonus point in six of their 13 games. When they have played well, as in the home games against Surrey and Somerset, they have failed to force a win. When they have had a bad session, they have invariably lost.